Store all your favourite boards with a simple yet highly functional board rack. 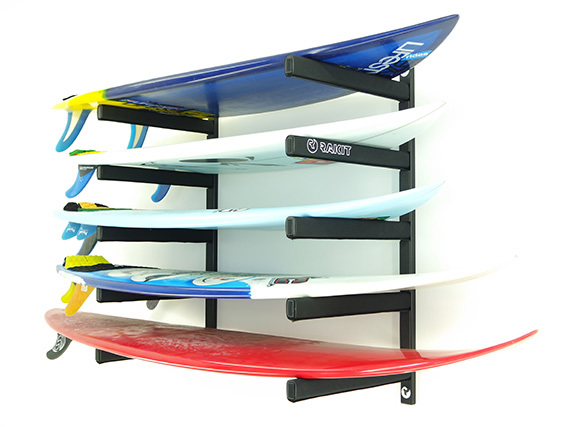 Rakit surfboard racks feature a durable powder coated finish and full foam pads for ultimate protection. Wall mounted, with industry leading load capacity, our racks maximize your home storage space. Easy to install, you can have your boards proudly on display and ready for the next session.